You have your incredible business idea that you’re in love with. You know what product or service you’re going to sell. You’ve decided whether you’ll be solely online or have a brick and mortar presence. Heck, you've even picked out the stationery! Hmm, do people still use stationery? They should. Anyway, it’s time to open up for business. 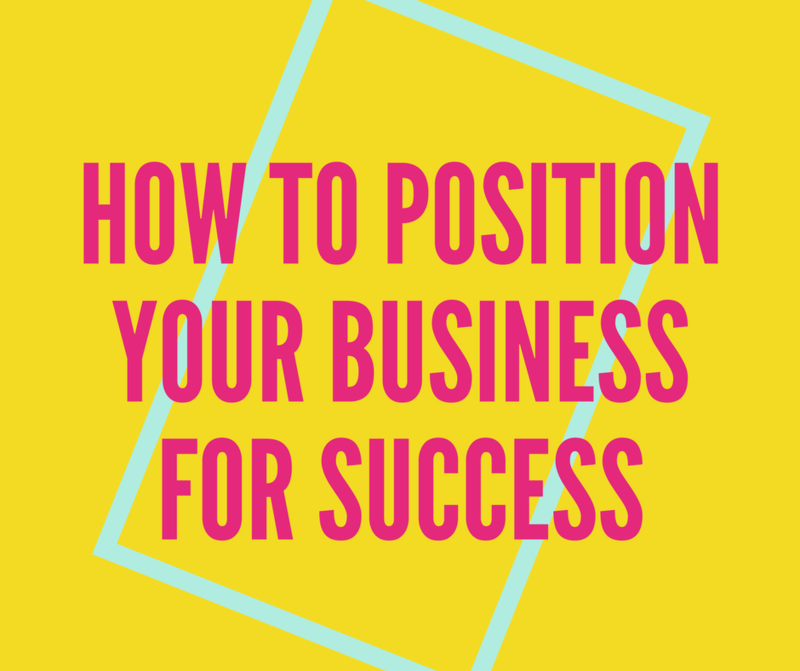 So, have you positioned yourself for success? When I say position, I mean exactly that. What will your position be in the marketplace? What are your values? What sets you apart from all the others? Are you Miley Cyrus from "Hannah Montana" or "Wrecking Ball" Miley? Hopefully, you're neither but even if you are, defining which one early on will be the guidepost for all business decisions you make. Here’s an overview of crucial steps you should take to get off to a great start. What is the purpose of your business? Why does it exist? Do you nourish your local community with farm-to-table food? Spread joy and create beauty in this world with illustrated fonts? Create hope in those who are ill as a circus clown jazz cellist? Be specific and be true to the real reason you’re starting your business in the first place. Why Should Your Target Believe You? The most loyal of brand loyalists buy in hard to what a brand is selling and that doesn’t just mean a product or service. A brand loyalist buys into everything a brand stands for because that loyalist stands for it too. Zappos has a ton of devotees because of its impeccable customer service. Amazon's goal is to be the most customer-centric company, where customers can find and discover anything they may want to buy online. Go into detail on the four reasons that back up what you’re going to do for them. Your business’ heritage – Has your business has been around for decades or do you have years of experience in this field? Where your product is made – Do you purchase only fresh dairy from local farms? What the product is made of – Do you source only 100 percent sustainable? What problem does your product or service really solve for them – Is it ergonomically correct? Amazon, for example, delivers on its promise by offering millions of products with in-depth product information, 24/7 customer service, superior search and browse technology, user reviews. Next, dig in to find four words that describe how your brand feels. Give it some personality. Use the thesaurus and make a big list of adjectives. Then be cut throat but thoughtful, eliminating words that don’t feel quite right or multiple words that could better be said with one more specific word. You'll be tempted to sneak in an extra word, but don't. Have the discipline to stick with four perfect words. Take your time with each of these steps. Think through them carefully. Do them right so you only need to do them once! Consult those you trust to see if your brand feels like an extension of yourself. I think I’ve made my point here. These key components will set the tone for your business so you can start defining your brand’s messaging and creative, create a plan and begin connecting with your target in a truly meaningful way. Let me know how the process goes for you. Is there a particular area that feels trickier than the others?